Ecco la seconda tappa dell'articolo Men want colors dedicata al colore nelle proposte maschili per la prossima S/S. Se per Fratelli Rossetti il colore era tenue, a tinta pulita e satura, per Alberto Moretti, designer toscano del noto brand Arfango, non c'è combinazione migliore di colori fluorescenti e sgargianti abbinati spesso in bicromia a toni più neutri e sobri. Troviamo infatti bordi, suole ed inserti fluo anche sui mocassini apparentemente più eleganti. Here is the second stage of the Article Men want colors dedicated to color in the proposals for the upcoming men's S / S. If in the Fratelli Rossetti style the color was weak, solid clean and saturated, for Alberto Moretti, the Tuscan designer of the renowned brand Arfango, there is no better combination of fluorescent and bright colors often combined in two colors to more neutral and sober. 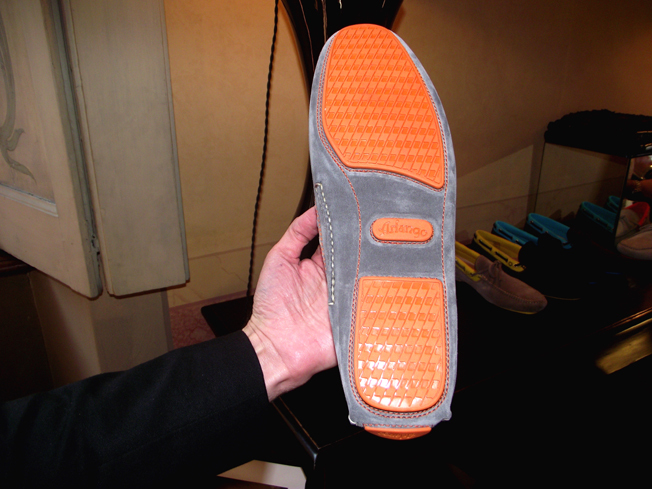 We find the edges, even on the soles and inserts fluorescent of apparently more elegant loafers. Le lunghe promenade alla Croisette di Cannes sono la vera ispirazione per una parte della collezione ideata apposta per i momenti relax in ambienti marittimi, perfette per essere indossate anche ai party più glamour. "Le Sea Carpet di Arfango", commenta Moretti, "non passano inosservate anche se indossate per una passeggiata in spiaggia..". Queste espadrillas, che come vi ho mostrato nei precedenti post, spopoleranno in particolare l'anno prossimo, seppure qualche preview possiamo vederla a partire proprio da quest'estate, sono realizzate in diversi materiali: in camoscio sfoderato con profili a taglio vivo dal colore fluo tra turchese, fuxia, arancio, oppure in velluto, stilema della Maison, con fodera in contrasto nei colori: blu-rosso, bluette-grigio, nero-turchese, oppure ancora in camoscio con bordi in lycra o in canvas camouflage con profili arancio, turchese o giallo, decisamente dal mood street e used. The long promenade to the Croisette in Cannes are the true inspiration for the collection specifically designed for relaxing in the maritime environment, perfect for wearing even to the more glamorous party. 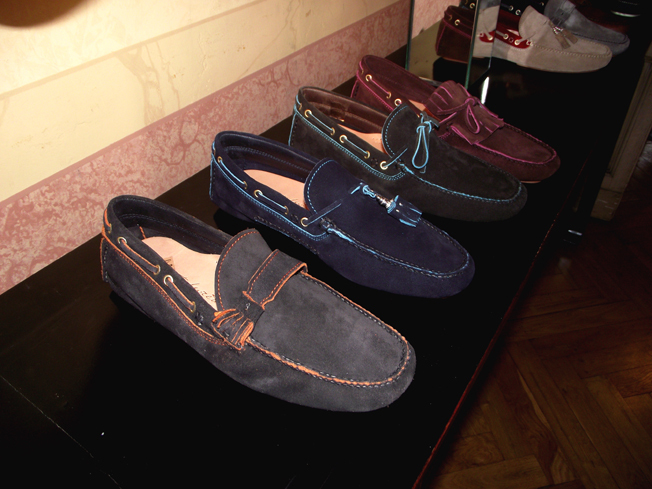 "The Sea Carpet Arfango," Moretti said, "do not go unnoticed even if worn for a walkon the beach ..". 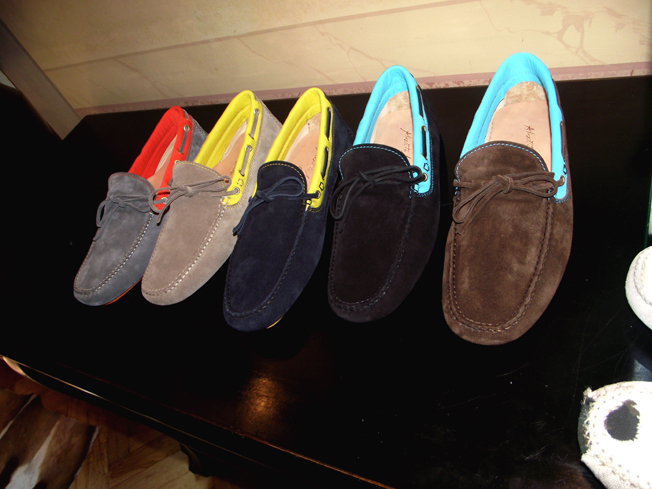 These espadrilles, as I showed in previous post, depopulatedand in particular next year, although we can see some previews from their own this summer, are made of various materials: suede lined with a sharp cut profiles from fluorescent color including turquoise, fuchsia, orange, or velvet, stylistic of the Maison, in contrast with fodear colors: blue-red, bright blue-gray or black and turquoise, or even suede or canvas edges lycra camouflage with orange profiles, turquoise or yellow, far from the street and used mood. 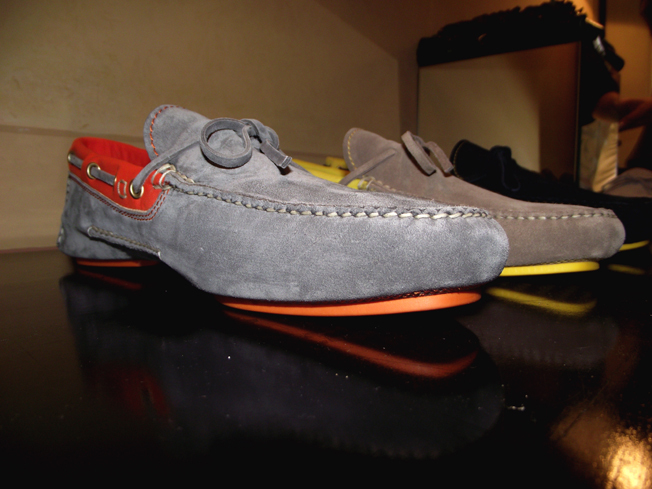 Persino le scarpe di punta Arfango, dal mood più elegante e raffinato, vedono protagonista il colore che si insinua tra la morbidezza del velluto e l'incisione quasi impercettibile al laser sulla lunghezza della parte anteriore..riuscite a vederla? 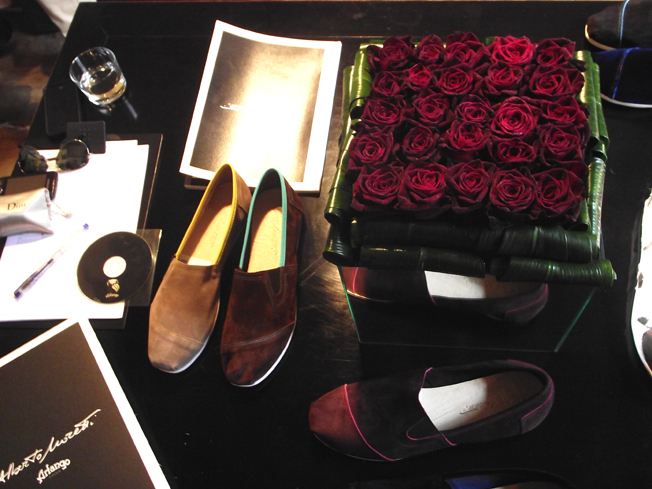 Even the shoes Arfango tip, marked by the more elegant and refined mood, see as protagonist the color, that creeps between the softness of velvet and the laser engraving almost imperceptible on the length of the front .. can you see it? Una voglia di osare, forse un bisogno, per stravolgere la monotonia a piccoli passi con dettagli, inserti ed accorgimenti che rendono davvero unico un outfit, anche tra i più classici, che ne pensate? A desire to be daring, perhaps a need to upset the monotony in small steps withdetails, inserts and devices that make an outfit unique, even among the classics, what do you think? è vero i mocassini sono fantastici ma questi sono meravigliosi!!!! Thanks for your comment! Great post! Love your blog and your style! I'm following you! 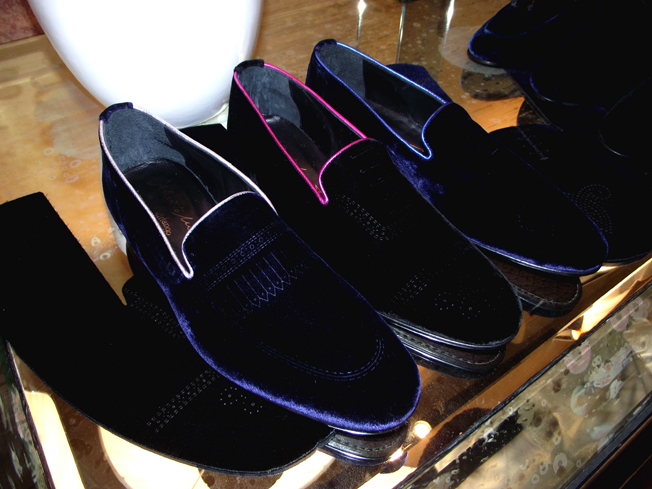 love it is great shoes and color cool. 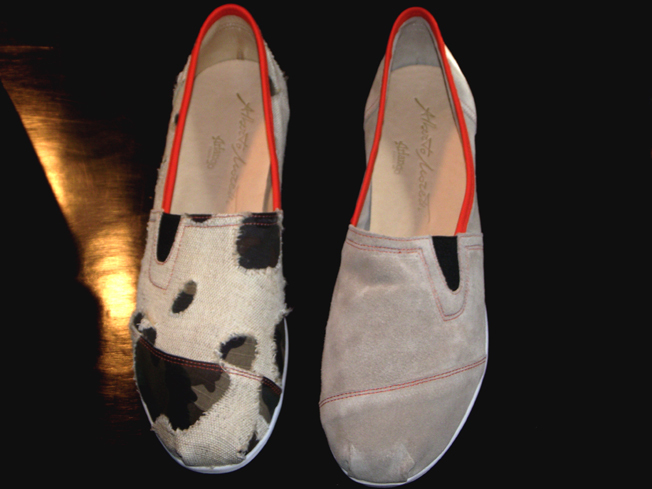 These shoes look very fashionable and comfy. Love the colors! OMG I died and went to shoe heaven..I want all of this they are amazing!!! 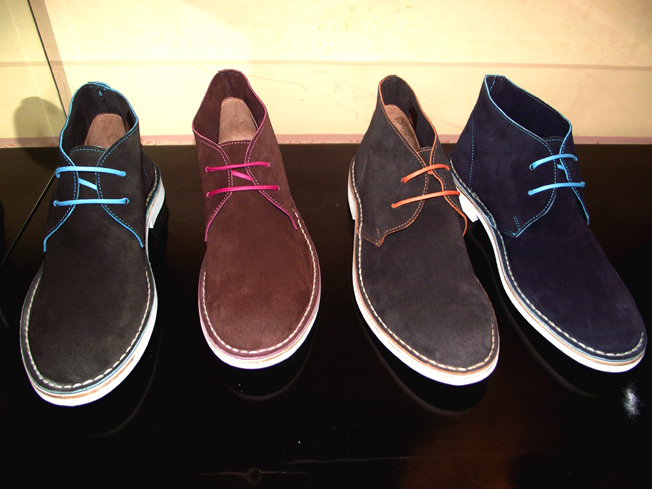 I love the bright laces in those desert boots--just enough color to be hip and it works with the rugged, but it's not too much. Great post! These shoes are awesome! Thank you so much for stopping by my blog! those shoes are full of colourful radness! My guy is a shoe lover and he would FREAK over these! I must see if they ship here to Oz and buy him some! They are meow-licious! Great post!